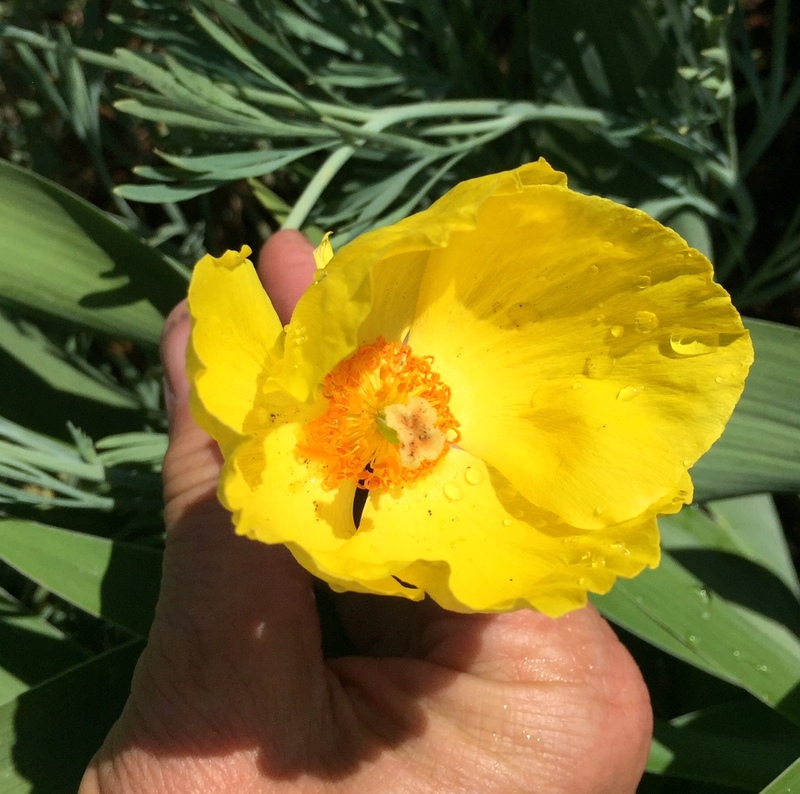 Here is a wonderful Poppy from Mexico, Hunnemannia fumarifolia. It has leaves similar to our California Poppies, Eschscholzia californica but bigger and a little bluer. This perennial grows to about 2' tall. With a big show in the spring, it then blooms off and on through the year with those bright yellow flowers with orange anthers. You can see the long seedpods forming in the pic below. Named after John Hunnemann, an English botanist. And the species part means "like Fumaria", of which I had never heard. 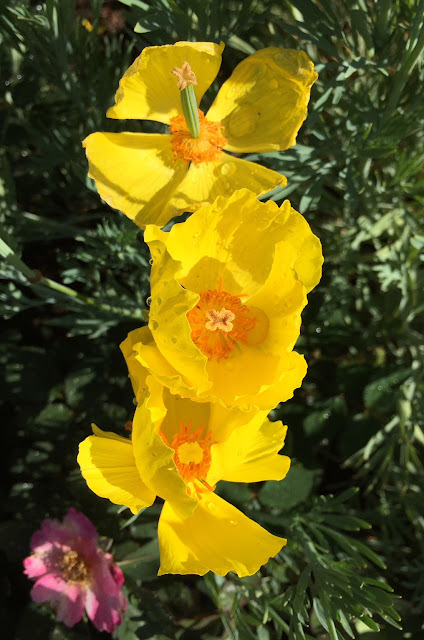 Super easy to grow and drought tolerant, it's the brightest thing in my garden this week! I bought mine at Matilija Nursery a couple years agp. But I have seen them at other nurseries around lately. 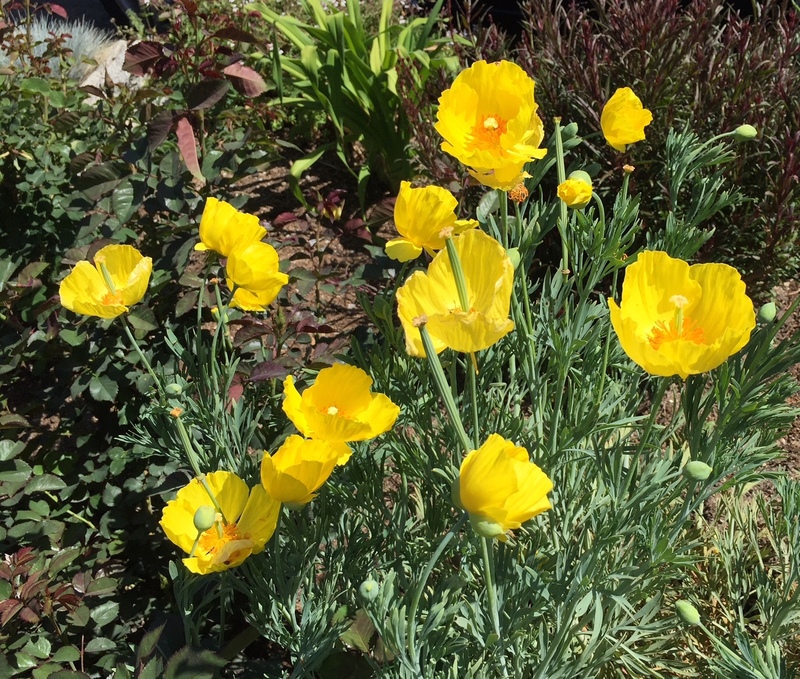 Do you grow Mexican Tulip Poppy? Hi Aprille! My MTP's grow in partial shade with a little water. I'm interested to hear how yours do over the Burbank summer?